CoastAmenities: Free Wi-Fi, Complimentary Parking, 3-Tier Infinity Pool, Swim-Up Bar, Spa, Tour Desk, Fitness Center, Beauty Salon, Restaurant, Business Center, Transportation to and From Manuel Antonio Beach and National Park, Complimentary Daily Guided Tour of the Nature Reserve, Free Local, and International Calls, Private Concierge. Located in the hills of the most sought-after tourist destination in Costa Rica, Gaia Hotel and Reserve is a little gem of a find. The property comprises 10 acres of rare tropical low land forests, the vibrant wildlife that lives in these forests and can be seen and heard right from your room is one of the reasons why this hotel is so unique. Its privileged location on the hills of Manuel Antonio makes it possible to enjoy panoramic views of the Pacific Ocean, Manuel Antonio National Park and the forest from the many terraces of the hotel. While not on the beach the hotel offers transportation services to and from Manuel Antonio beach and National Park from 7:30 am to 4:00 pm. This boutique resort has 22 rooms that suit a range of budgets, from studios, suites and villas, regardless of which room you stay in, you get your own personal concierge, so you can feel like royalty. The rooms have a chic design with stone and wooden floors, the décor is minimalist without being sterile, and all rooms have air-conditioning, flat screen TV with cable, comfy beds with high-quality linens, wicker and cotton sofas, and spectacular views. Some of the suites and villas have access to shared patios or semi-private splash pools. Although not all the rooms have outdoor space, the common outdoor areas of the hotel more than make up for it. Here you have your choice of not one but three infinity pools which look over the forest and the Pacific Ocean. There is a swim up bar, so you don't have to worry about going getting thirsty while relaxing by the pool. Speaking of relaxation, the top-notch spa services offered here are worth staying in the hotel a few days. Sure, you will want to visit the National Park, and go for exciting nature hikes, or take a few surf lessons in Manuel Antonio, but, after all that exercise, you need a little pampering, and Terra Spa is just what the doctor ordered. The peculiarity of this hotel is that it does not accept guests under the age of 13, this makes it perfect for couples looking for a romantic getaway or anyone who wants to enjoy nature in a quiet, relaxed setting. And it's ideal for families who have teenage kids who enjoy nature adventures. The onsite restaurant is in the prime position at the top of the hilltop, so not only do you get to enjoy a genuinely inspired meal, but you get to do it while gazing at the splendid views this hotel has to offer. Imagine sipping your morning coffee while watching a band of macaws flying over Manuel Antonio's jungle-covered peninsula. The restaurant follows the same lines as the rest of the hotel with the modern, relaxed, yet warm and inviting ambiance. A visit to La Luna Restaurant is a gastronomic experience you must indulge in while staying in Manuel Antonio. Every dished prepared here is top of the line from presentation to taste. If you are in the mood for a cocktail, then we suggest you stop by the hotel's lounge which is right next to the restaurant and offers the best seats in the house to watch the breathtaking sunsets of Manuel Antonio. 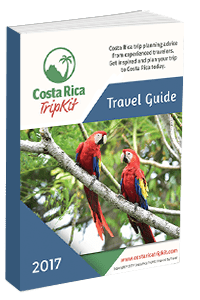 In addition to being a 5-star Eco resort, Gaia Hotel and Reserve is also the proud sponsor of one of the Scarlet Macaw Project in Manuel Antonio, which has successfully released more than 40 birds since its launch in 2013. The hotel constructed several cages which are used for hatchery and adaptation. The other pen which is not open to the public is used for when the birds are ready to be released into the wild. Tours are offered for free to guests every day except Monday's at 3:30 pm. During your stay in the hotel, you will get a chance to see and hear these magnificent birds as they fly freely over the peninsula. An experience you will treasure for the rest of your life. Bottom Line: This Eco-resort is the best choice in Manuel Antonio for the sophisticated traveler, who appreciates the attention to detail offered in all services provided by the hotel. Your stay here will also help support the conservational efforts sponsored by the hotel.